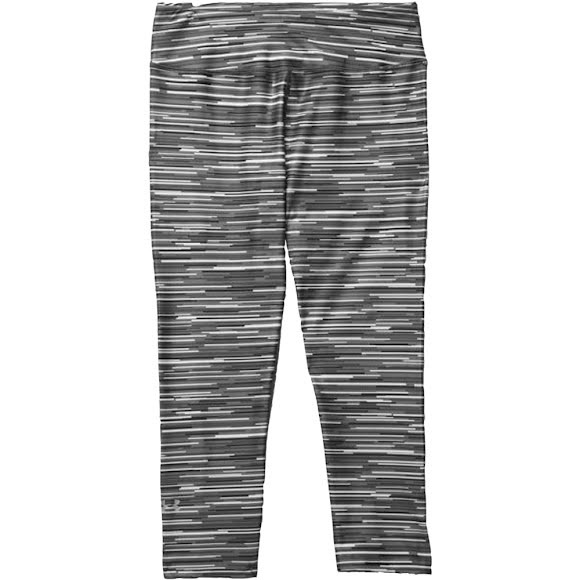 When you rock Under Armour Women's UA HeatGear® Armour Stripe Capri Tights, compression creates that ultra-tight, second skin fit. Breathable, light weight, moisture wicking fabric stretches as you do. A flat, yoga inspired waistband feels just right as you transition from downward-facing dog to uptown chic. When you rock Under Armour Women&apos;s UA HeatGear® Armour Stripe Capri Tights, compression creates that ultra-tight, second skin fit. Breathable, light weight, moisture wicking fabric stretches as you do. A flat, yoga inspired waistband feels just right as you transition from downward-facing dog to uptown chic. This inventive fabric technology allows greater mobility in any direction for enhanced comfort and performance.